Take your favourite hobby on holiday and explore some of the stunning golf courses France has to offer. From courses clinging to the cliffs of Brittany to those in the forests and hills of Normandy and amongst the vineyards of the Loire the possibilities are endless. We’ve chosen a few of our favourite golf courses to help you start your shortlist. Whether you’re an enthusiastic amateur golfer or a seasoned pro, you’ll find the combination of a fabulous range of golf courses, together with all the usual cultural, historical and gastronomic treats France has to offer will make for an amazing, unforgettable holiday. Golf d’Etretat is a picturesque golf course is found on the Normandy coast between Le Havre and Fécamp. 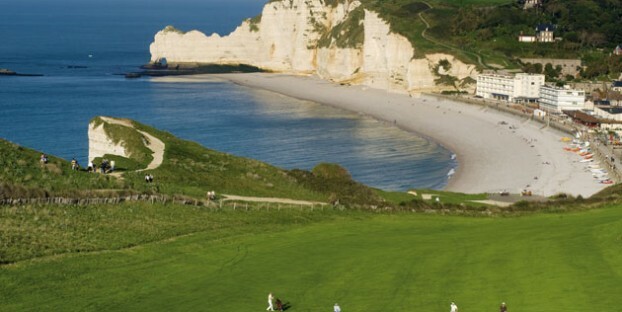 Right on the cliff tops, the course has panoramic views over the bay of Etretat and out to sea. The 18-hole course is challenging, especially on a windy day, but it’s a great experience for golfers of all abilities. Golf Magazine rates this amongst the best golf courses in Europe so it’s well worth a visit. 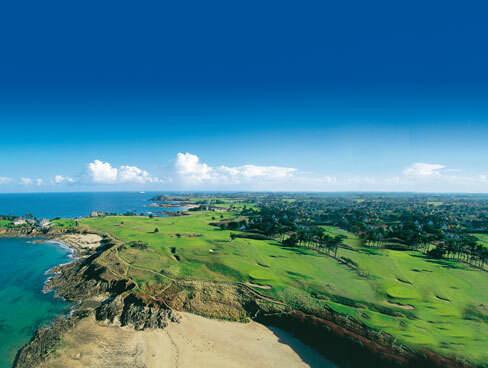 Dinard Golf in Brittany is one of the oldest golf courses in Europe dating from the late 19th century. The 18-hole course spans 12 acres of dunes and fields around the rocky coastal coves. There are stunning views over the Channel, but be prepared to lose a ball or two if the wind is up! Champ de Bataille is a prestigious golf course set in 370 acres of historic forest and parkland surrounding a castle. The 18-hole course makes the most of natural features such as lakes, valleys, ancient trees and well-placed plantings of rhododendrons to test your golfing skill. 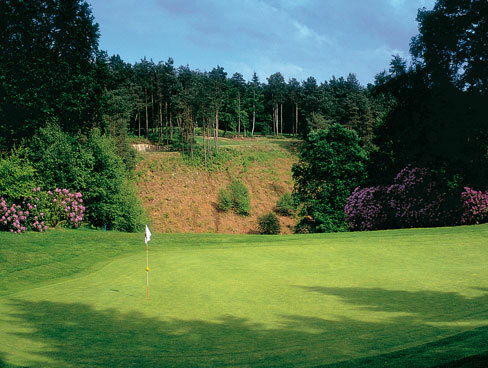 The exceptional setting and high standards of maintenance make this well respected course comparable to the famous golf courses of Wentworth and Woburn. 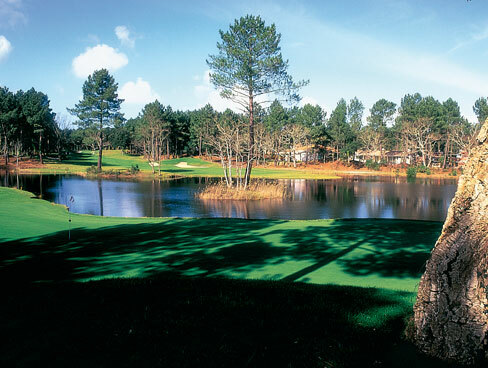 Les Bordes is an immaculately presented golf course set in the seclusion of the Solange forest. This fairytale course designed by Robert von Hagge is the ultimate in golfing luxury. Today it is an exclusive private members club only open to members and their guests – if you’re lucky enough to get a chance to play a round here grab the opportunity with both hands! Golf Barrière de Deauville is situated close to Deauville town centre, featuring a parkland style course designed in 1929 by Tom Simpson. The lush, green course is set on top of the Mon-Canisy hill and has fantastic views over Deauville, Trouville and the surrounding countryside. The main 18-hole course is a technical challenge, particularly on the back 9. There is also an alternative 9-hole ‘Blue’ course available on-site. 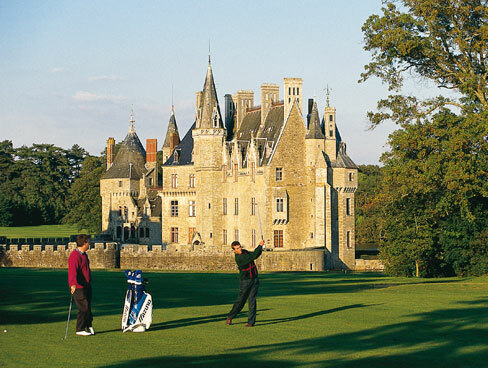 La Bretesche is a beautiful golf club positioned on the shore of a lake overlooked by a fairytale Chateau. The tranquil shades of green set the scene with ancient forests, and vibrant planting of rhododendrons and hydrangeas. There is a full 18-hole course as well as a compact 9-holes to play, perfect for par-players and beginners alike. North of Biarritz near the Spanish border Golf de Seignosse is a beautiful but very challenging golf course. The 18-hole course is another masterpiece by legendary American architect Robert Van Hagge. The ancient oak trees and pines that surround the fairways provide an idyllic backdrop and channel winds through the course to further test your skills. 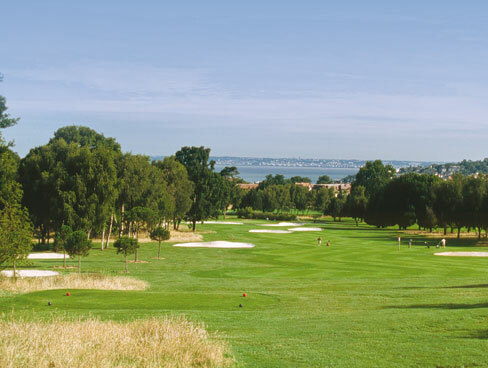 Golf International Barrière La Baule is the largest golf course in France with 45 holes to play spread over three courses. The ‘Lucien Barrière’ course has 18-holes with plenty of water hazards to keep things interesting. The ‘Diane Barrière Dessigne’ course includes 18 holes winding around a 5 acre lake, while the ‘Francois Andre’ offers 9 versatile holes that present an enjoyable diversion for golfers of all skill levels. All the courses are well kept with quality greens and a peaceful setting, an ideal base for a relaxing golf holiday. Pléneuf-Val-André is a delightful golf course in northern Brittany with 18-holes, 12 of which have panoramic sea views across the Channel. The exhilarating cliff top setting is not only stunningly beautiful, but presents a serious golfing challenge when the wind blows. Hole 11 has been voted one of the Top 500 golf holes in the world by Golf Magazine USA so prepare to be impressed! World renowned pro golfer Seve Ballesteros designed the challenging Golf de Pont Royal course near Avignon. The luxurious layout is a pleasure for experienced golfers, but not for the faint hearted! The large course covers plenty of hills and elevated greens so a golf cart is recommended if you want to avoid too much walking. 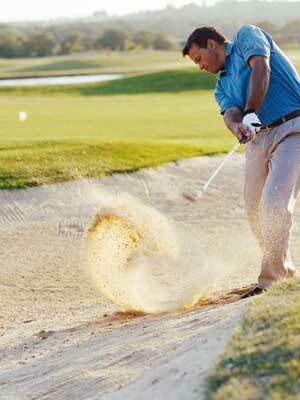 Look out for pro golfers and enjoy the exceptional hospitality facilities. Take all your golf clubs and equipment to France easily when you travel with your car by ferry. There’s no need to pay excess baggage fees, risk damage or loss of clubs in flight, or struggle with your golfing luggage at airports. Simply pack your car and enjoy a golfing holiday in France that’s convenient and flexible with a single centre holiday or a tour visiting some of the amazing golf clubs France has to offer.